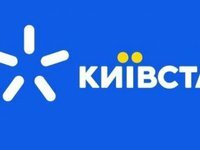 Kyiv's business court has denied mobile communications operator Kyivstar to challenge a fine of UAH 21 million imposed on the operator by the Antimonopoly Committee of Ukraine for violation of calls tariffing principles. The press service of the operator told Interfax-Ukraine that the decision to appeal against the ruling would be made by the company after receiving the text of the ruling. "The committee in December 2017 expressed concern about the imperfection of language in informing customers by the company about the tariffing of voice calls. Kyivstar, acting in the interests of customers, took into account the committee's recommendations and took appropriate measures on time to make this communication more understandable," the press service of the operator said. The company also said that Kyivstar applied to the court seeking to confirm the lawfulness of the committee's decision. As reported, the Antimonopoly Committee of Ukraine decided to impose a fine of UAH 21.308 million on Kyivstar in the case of informing about the conditions for call tariffs.